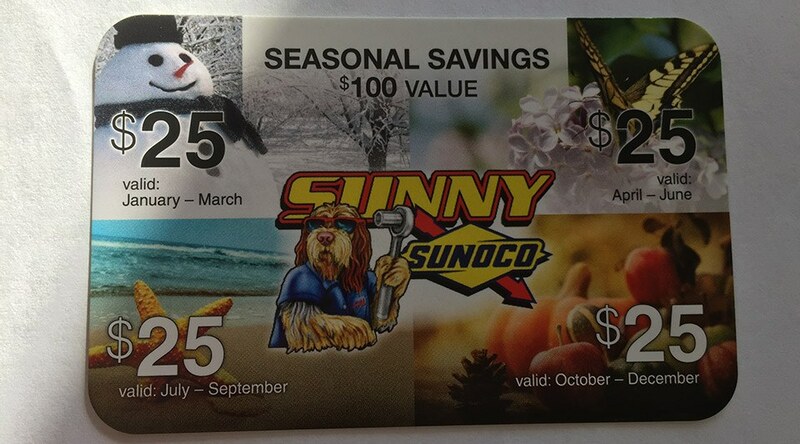 Sunny Sunoco's Seasonal Savings Card is redeemable for services at Sunny Sunoco. Card must be presented at time of purchase. It may not be redeemed for cash and cannot be replaced if lost, stolen, or used without permission. Seasonal Savings Card cannot be combined with any other offer.